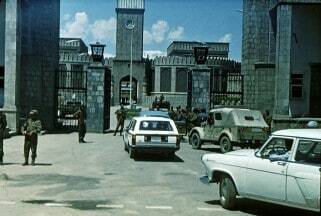 The government of Afghan President Mohammed Daoud Khan came to a violent end in what was called the Saur Revolution when insurgent troops led by the People’s Democratic Party of Afghanistan [PDPA] stormed his Kabul palace on April 27, 1978. 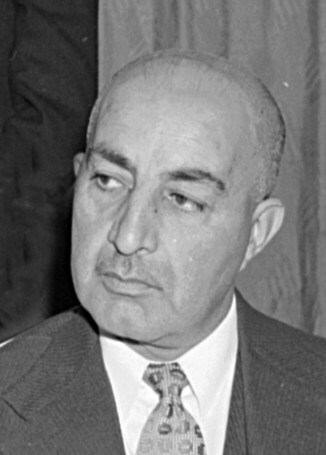 Daoud had taken power five years before by overthrowing and exiling his cousin, King Zahir Shah. Though he promised a democratic government, Daoud’s administration was characterized by a harsh land reform program and growing suppression, particularly aimed at factions of the PDPA. 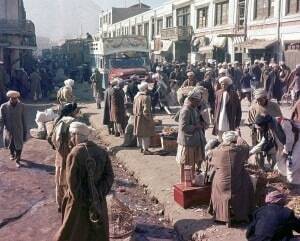 The evening of April 27, Radio Afghanistan broadcast that the Khalq (people) were overthrowing the Daoud regime. 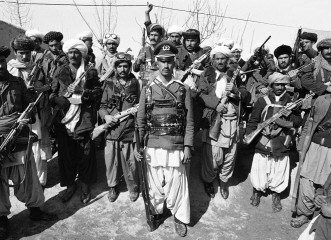 The use of the word Khalq, associated with communists in Afghanistan, made clear that the PDPA was leading the coup and controlled the media. 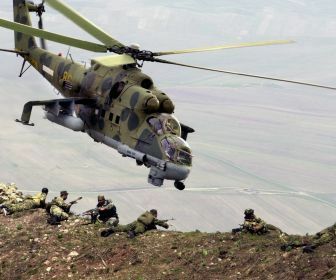 Aerial attacks on the palace intensified about midnight. The next morning, the people of Kabul learned that Daoud and most of his family were dead and rebels were in control of the city. 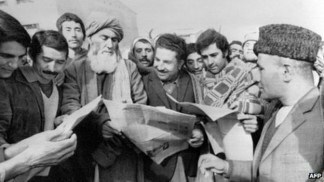 Bruce A. Flatin, Political Counselor in Kabul from 1977 to 1979, and Louise Taylor, director of American Cultural Center in Kabul from 1977 to 1980, recalled in interviews with Charles Stuart Kennedy how they experienced the revolution. Kennedy interviewed Flatin in January 1993 and Taylor in January 2001. To read more about Afghanistan, South Central Asia, revolutions, or the assassination of Ambassador Spike Dubs, please follow the links. FLATIN: Sardar Mohammed Daoud Khan [first president of Afghanistan, seen left] was trying to continue his modernization programs for the country, but you just can’t believe the inertia he had to overcome. It was just incredible. Things just were not done. During the whole time before the revolution, for example, we kept discussing with his education ministry where we were going to place a women’s dormitory for the university — and what it was going to be like. There were constant discussions about the women’s dormitory, for which one brick was never put upon another. Politically, Daoud ran the country with a one-man type of rule. He would head cabinet meetings at which people would make reports; he would make no comment, just look impassively at them. From time-to-time he’d whisper something to an aide on his side which presumably was an instruction to be carried out. It wasn’t clear to his cabinet what he’d said. There was still a certain amount of fear on the part of people as to what he would do if he became dissatisfied with them. This carried over from the earlier time when people with whom he had lost patience simply disappeared. At the same time, he appeared to be giving inadequate guidance. The country was being inadequately guided at that time and it was clear that the man was not any longer up to it. He didn’t have enough energy to found and run this new republic of his properly. There was dissatisfaction everywhere. 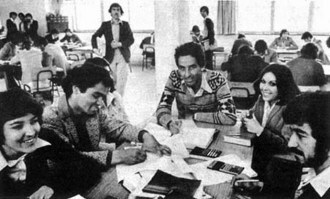 Then the events leading up to the 1978 revolution occurred. 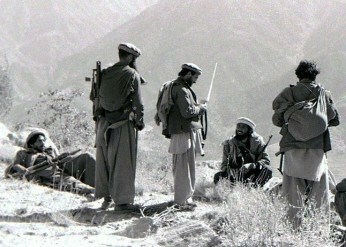 The Parcham and Khalq (two main factions of the People’s Democratic Party of Afghanistan or PDPA) wings of the Afghan communist party, who had been feuding with each other, reached some type of agreement in 1977 which enabled them to work more in unison because they knew they were being squeezed out by Daoud’s new government, even though they had participated in bringing it about. And in the early part of 1978, a labor leader was killed. That man had been leading the first strike in Afghan history, an aviation strike. 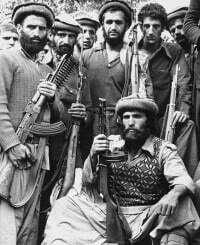 Not too long after that an important communist ideologue, Mir Akbar Khyber [an Afghani intellectual and a leader of the Parcham faction of PDPA], was shot. There followed a parade of leftist demonstrators, protesting his being killed. This group of demonstrators, numbering over 2,000, passed our embassy and in very well-organized fashion hurled curses against the U.S., somehow identifying us with his passing. This was our first look at the Afghan Communist Party. As we said at the time, it was like watching the Loch Ness monster rising out of the water. We were able to see the nature of this large and well-organized movement for the first time. What had been as often described in rumors was at last in the open. A West German police officer, who was then a police adviser to the Afghan Ministry of the Interior, told me that the same weapon was used to kill Khyber, the communist leader, as had been used earlier to kill the striking pilot union leader. That fact indicated that both killings may have been a government-type assassination. The Daoud regime appeared to be shocked by the events that followed the murder of Khyber. They started to arrest members of the communist politburo. They were ineffective at doing this; they didn’t get all of them. That was unfortunate for the Daoud regime, because the revolution itself then broke out during the time they were arresting these people. The morning of the revolution was rather interesting. The night before we had had our Marine party, Ted [Theodore Lyman] Eliot, who was our ambassador, on the Thursday night before Friday [the Muslim holy day], had told me that he’d like to send a cable out as soon as possible discussing the arrest of the politburo members. So I went into the embassy the following morning; this would ordinarily be a non-working day. 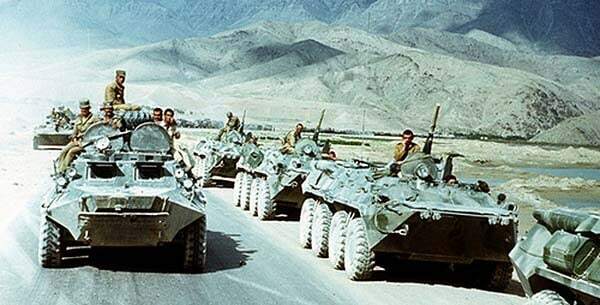 I was working on the cable when my secretary came into the office, disturbed because she and a friend had wanted to go to the Kabul Gorge for a picnic, and she had been stopped by troops at the Pul-i-Charkhi tank base on the way to the gorge. She said they were very firm and wouldn’t let her go by. There had been heavy rains the previous evening. I wondered whether there were some road erosion problems that they were concerned about. Then she explained they were wearing helmets and were fully armed; that struck me as being a little bit more serious than a case of troops just guarding a road. I asked my deputy, Jim [James E.] Taylor, to go out and check the roadblock situation, and I talked to the ambassador about it. We decided we should also send the military attaché down there to take a professional look. These two U.S. officers were stopped. It was clear that a major force was coming into being, that it was preparing to launch some type of operation. Indeed, very shortly thereafter, a tank force broke loose from that base and came into Kabul at high speed. It took over key intersections, sent a few shells through the Ministry of Defense building, and got engaged in a fire fight with the loyal troops of Daoud. The latter did not appear effective at dealing with this tank force. The invading forces were quickly successful in taking key government buildings in the central part of town. It wasn’t until they got to the other side of Kabul that they ran into a stiffer resistance on the part of the loyalist forces of Daoud. They were able to get to the prison where the politburo members were being held, and liberated them. Many were puzzled why Daoud hadn’t dealt with these people beforehand. The usual Afghan practice would have been they would go from cell to cell to shoot these prisoners. The important party leadership, therefore, was freed by the communist troops early in the conflict — and led them to victory. We had heavy fighting all over Kabul, much of it around our embassy. Our embassy, unfortunately, is across the street from the radio and television complex. This leads us to exposure whenever there’s an attempt to take over power. Our embassy at Kabul has a little fort-like structure on its roof — sort of a concrete Fort Laramie where we keep our burn boxes. There’s a parapet wall, behind which we could get a good view of everything going on in Kabul. From there we saw much of the battle. We kept our embassy flag up that night, thinking that with the spotlights on it we would be clearly identifying it as the American embassy so the fighting parties wouldn’t target us. However, I still remember that later that night we were watching a group of helicopters hanging north of the embassy, launching red rockets at the downtown part of Kabul. I next saw a triangular shape coming across the face of the moon on the other side of the embassy and realized it was a MiG [Mikoyan-and-Gurevich, a Soviet military aircraft] jet making a turn up there. It launched four rockets right at our roof. We ducked, and the four rockets streaked over, barely missed the back edge of our embassy roof, and demolished the house behind us. Our Air Attaché, who was up in our fort, opined that the plane clearly saw the American flag. He thought that there was no doubt that the pilot knew what he was shooting at. We then took down our flag and turned off the lights. Many army leaders in the revolution had been trained in the Soviet Union. Going back to the 1950s, you will recall, there was the Eisenhower Doctrine through which we were offering defense support to various countries in the Middle East following the Suez war of 1956. TAYLOR: Daoud had been in power with a lot of enemies since ’73; we arrived in ’77. But it was a very calm environment. There were concerns the Soviets had been training thousands of military officers on an annual basis. Our military officer training program was limited to fewer than 20 on an annual basis. That was a matter of concern. The weekend in Afghanistan was Thursday-Friday, which put us out of touch with Washington for four straight days. It was kind of nice. We all liked that. I happened to be the duty officer that day [April 27]. My mother was arriving from Frankfurt on that day having had eye surgery in Frankfurt when Father was assigned to Peshawar, coincidentally enough, during this period. We had seen a good deal of my parents. It was very nice being so close by, although those assignments were not done in tandem. So, my mother was arriving at the airport at noon. I was duty officer at the embassy, which was a mile and a half from our house, maybe two at the most. I forget what Jim [husband, deputy political officer James E. Taylor] was doing. We had this wonderful compound, a typical old-fashioned bungalow just sprawling everywhere. It made no architectural sense, but it was a wonderful place to live. It was a peaceful Thursday morning. Friday, of course, was the holy day. Wednesday night, which was like our Friday night, we had had the Russian embassy over to the American cultural center for a big Soviet-American friendship gabfest. They had invited us at one point and we were reciprocating. We did it at the American cultural center. There were 200 Soviets with their spouses there, one of the few times you saw the Russian spouses being allowed to go out. We had a wonderful dinner in the library. We had speeches by [U.S. Ambassador] Ted Elliot and my husband did the translating into Russian for that. So, it’s an interesting confluence of events to think that within a day or two of this major military coup, if the Soviets were behind it, there had been a major American-Soviet friendship night. It was something we had planned for months and months. I was the hostess for it since it took place in the cultural center. We all worked on it. The Wednesday night before the Thursday, there had been a big springtime dance at the Intercontinental Hotel, the only hotel in town, a beautiful place (seen above.) The whole international community was there. We had a wonderful time, a good band. Everybody partied a lot in Afghanistan. It was a party post. By about noon or 1:00 pm, an enormous tank file of 60-70 tanks rumbled down the street in front of the embassy, which led from the military barracks past the airport and down in front of the embassy to the palace. 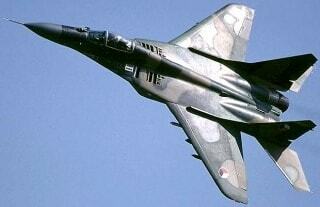 At the same time, within an hour, there were MIGs in the air bombing the city. This was fairly frightening. I had never been in a place with tanks 100 feet in front of the embassy nor had I been in a place where bombs were falling. The bombs were falling close by. One of them barely missed the United Nations headquarters and the Chinese embassy. Those two buildings were right next to each other. One huge 800 pound bomb fell in the intersection directly in front of those buildings. That was half a block from the American cultural center. Everything was happening very close together. We were stuck in the embassy. [Ambassador] Ted [Elliot] was there. I was there. A few communicators were there because we were trying to get the Thursday [cable communications] traffic out. We were winding up the duty. My husband and Larry Thompson, the number two in the Economic Section, who was a good friend of ours, heard gunfire in town. They then began to hear the tank fire. They ended up in our tiny Toyota. Jim and Larry were driving all around town following the tanks which were firing every place they went. They fired on the Ministry of Interior, which was right next door to the American ambassador’s residence. They fired on the palace. They fired on Radio Afghanistan. So, Larry and Jim were kind of dodging through these tanks. It was a cops-and-robbers type of thing. But eventually it became clear that this was extremely serious. The ambassador ordered most of us to remain in the embassy. We could not leave. There was no going out on the streets. Jim and Larry, having followed the tanks all around town, ended up at the ambassador’s residence. Mrs. Elliot was there along with Ambassador Douglas Heck [U.S. Ambassador to Nepal from 1977 to 1980] and Ernie Heck, who just happened to be visiting from Nepal. Ambassador Heck was in Nepal at the time. They were houseguests of the Elliots’. They certainly didn’t expect to come for a coup. The other thing that happened that day that was of concern was that there was an international debate or drama contest among the international schools. 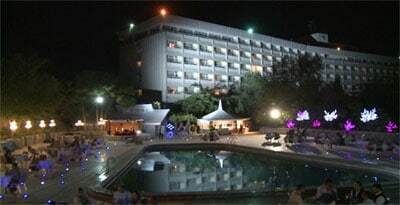 The American International School in Kabul was host to 200-300 American kids and kids of other nationalities from the international schools in neighboring countries. So, there were all of these kids running loose in the souq and in the bazaar because it was Thursday, the day to go to the bazaar. There were high school teachers with them, but basically they were on their own. They were stuck in the bazaar when all of this started happening. So, communication was difficult around town. We didn’t know where everybody was. Some of us had the portable walkie talkies at the time. My mother didn’t know how to work ours. She could hear me trying to reach her at our house. From the embassy, I could see where the planes were bombing. I didn’t know whether a bomb had fallen on our house or not. The telephone system went out right away. My mother was all alone with the two dogs and our gardener, Yaya, who spent the whole time under the dining room table praying. My mother mixed up a batch of martinis and sat with the dogs and enjoyed the whole thing. She had come back from her surgery having been told that everything was going to be alright – it was a tricky eye operation and she should be under no stress whatsoever. Well, my father, as the day went along, eventually heard that there were big things going on in Kabul and he got a little bit frantic because he knew that she had just arrived. His greatest fear was that she was stuck at the airport. He was able to reach me at the embassy by about midnight the first night. I was able to tell him that at least she was at home. I couldn’t tell him anything beyond that. So, my mother was at our house, I was in the embassy; [husband] Jim was in the ambassador’s residence. They were all hiding in a bathroom. Five of them, the Hecks, Larry, Jim, and Mrs. Elliot were all in this one interior bathroom that had no windows. In the embassy, we were fairly well protected. What was not known was whether or not the American embassy would become a target of this operation. That was always a matter of concern. So, we were in the embassy for two full days and two full nights until the fighting stopped. A line was maintained to Washington throughout most of this time from the embassy, but I’m not even sure whether that’s true. Finally, the warden system got underway by means of the walkie talkies. My boss, Roger Lydan, the public affairs officer, was able to walk over from his house to my house and check on my mother and found out that she was fine. Then he was able to call me at the embassy to say that my mother was fine. So, when we all finally got home two or two and a half days after the coup started, the city was then quiet, although the first day and a half had been extremely violent and the noise was deafening, just unbelievable, because it’s a small city. There were 80-90 tanks firing away and at least four MIGs bombing the city. There were civilians in our neighborhood killed, but those were people, Afghans, upper- class Afghans, who lived in these beautiful houses in our part of town and they had all gone outside in their backyard to watch the bombing. They were killed by shrapnel, not by direct shots. That could have happened to anybody. There was an American woman, part of the embassy community, who freaked out during this episode and was actually running around out of control in her backyard. A neighbor saw this and was able to get her back in the house. A number of other American spouses had severe psychological problems after that because it was so noisy and so frightening. It was much more frightening than the later incidents, particularly because of the bombs falling. You didn’t know who was flying around up there. In the end, most people think there were Soviet pilots, but of course, this is a matter for history to tell us. The accuracy of the bombing, with the exception of the bomb that dropped in front of the American cultural center and hit a water main and one that dropped near the Chinese embassy and the UN headquarters — those were obviously mistargeted — but the rest of the bombing on the police headquarters, on the palace, and elsewhere was pretty accurate. So, I don’t know that the final story has been written as to who was flying those planes. But if we had known that they were Soviet pilots, we might have felt a little more comfortable about the accuracy of the bombing. It was clear within a few hours that the army was overthrowing the Daoud government. Our Afghan FSNs [Foreign Service Nationals, local staff] had their ears to the ground. The FSN who worked for my husband in the Political Section was able to connect up with Ambassador Elliot at some point during the day and his stories from the bazaar said that it was the Hulky wing, the People’s Party wing, of the Communist Party that had organized the military officers under Communist Party authority to overthrow Daoud. That became fairly clear within a day. Yes, everybody was trying to figure it out. The station chief was frantically running around trying to get his contacts lined up. Then, of course, the coup leaders themselves took over the radio. They got on the radio. By the end of the first day, by 10:00 pm, they were on the radio saying who they were. 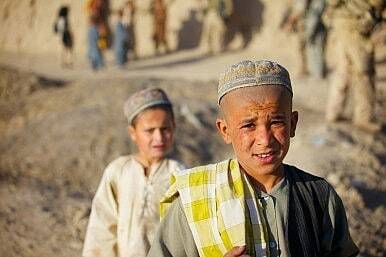 Many Afghans knew who they were. One of the persons was the pilot who became the hero of the Great Saur Revolution and played a role in the government. He was one of the people supposedly flying around bombing the city. It was a small society. Everybody knew who these people were. They recognized their voices. At least within the first two or three days, it became clear that Hafizullah Amin, the disaffected Columbia University student, had become the head of government. So, yes, I think that within a day or so, it was clear who those people were. What was not clear was the role of the Soviet embassy or the Soviet government. Certainly, once the coup took place, even if the Soviets weren’t behind it from the very beginning once it occurred, they leaped right in to take advantage of something that had fallen into their laps. I think the fact that that this hasn’t been examined more closely is probably due to what happened afterwards, the 10 or more year running war between the Russians and the Afghan partisans, or the Afghan mujahidin. People were much more focused on that rather than finding out who really was behind the 1978 first military coup d’etat. During those first three or four days, we closed the Cultural Affairs Center. First of all, it was the weekend. But I think we reopened within about a week. The PDPA people were organized. They set about setting up their government. They were a bunch of thugs. I went to call on the Minister of Education within the first month or so. The new Minister of Education was a very uneducated man. He was drunk when I went to call on him. He had a huge revolver in his belt that fell off onto the ground while I was sitting in his office. I could see this was not going to be a useful discussion. There was one member of a prominent family, the Taraki family, who remained on at the Ministry of Foreign Affairs. He may still be there. No one could quite figure out why he remained, why he was allowed to remain on in a deputy function. He became the liaison with the embassy. It was pretty much established that westerners’ interests would be preserved, that we would be held safe, that there would be no attacks on Americans or westerners. Our programs, including our AID program, began to be restricted within months despite these assurances. So, business was pretty much operating as usual. Within the first month, the students were all back [coming to the American Cultural Center.] For one thing, it was the one place they could get any information. I had access to ABC News at that time on videotape, nothing like what we have now with the Internet. But I would get ABC News videotapes about two to three weeks late. Nevertheless, this was big news in Afghanistan. I would run those on a video monitor. Sometimes I used them as a seminar format to have a discussion group. But the little coverage that Afghanistan was getting at that time was available only at the American Cultural Center. Plus, we had the “Herald Tribune” every day. It was two or three days late, so that wasn’t too late. Some students never came back. Some were too concerned. There were always people worrying, “Is he a spy? Is he informing on me? Is he telling my faculty advisor that I’m going to the American Cultural Center?” That sort of climate grew and only got worse as time went on. It was a sense that the group was hostile to the West; that it was going to become more difficult to do our work. Since it took, as it does in any situation like that, a while for it to shake down to see just how much authority and power these people were going to have and what direction they would move in, I don’t think that we felt at first that we couldn’t do business with them. I felt that some of the people they placed in the university and some of the people they put in the newspapers were pretty hostile, as well as completely uneducated and unqualified to be in their positions. That distressed me more than anything. The embassy was determined to keep the relationship stable as much as possible. AID made it clear that it was willing to continue with its projects and its participant training. But the moves to restrict the relationship came from the Afghan side as time went on, not really from our side, up until the Ambassador’s [Spike Dubbs, successor to Theodore Eliot] assassination. So, the Saur Revolution was in April of ’78. The ambassador was assassinated 10 months later. That really changed everything.